Cub Scouts will get their vocal chords humming and their instruments strumming during this month’s musical extravaganza!! Boys can learn to sing a new song and make a musical instrument while working on the Music Belt Loop and pin. Den meetings can be the rehearsals and the pack meetings performance time. Take your show on the road. Music is a universal language – help bring joy to everyone by sharing your music with others. Personal Achievement, What a sense of accomplishment to play a song on a piano or guitar or sing a song in a loud voice. Spiritual Growth, Boys will explore how spirituality is expressed through the music of gospels, spirituals and hymns. Fun and Adventure, Making music together can be great fun, and exploring different types of music can be adventurous. Honesty, Boys will see that giving their best effort is the honest thing to do. Let’s have a blast with this theme – singing and playing music with homemade instruments. The How To Book has a bunch of homemade instrument ideas. As does the CS Program Helps. Be sure to check out The Kids Can press, “Jumbo Book of Music” www.kidscanpress.com They have plans in there for many instruments, including an instrument that looks like the thing the band leader is wearing on “Wheel of Fortune” this week while they are in New Orleans (or were before Katrina as the ads say). It’s made from an old broiler pan rack. Really Neat!!! My resources are a little low right now. Many of my Pow Wow books from last fall have run out. If your council had a Fall Pow Wow and you have a book, I will be glad to swap you copies of those I received this month for one of yours. Drop me an E-mail at commissionerdave@comcast.net and we can set it up. Thanks to Scouter Jim for my copy of Great Salt Lake’s Pow Wow Book. 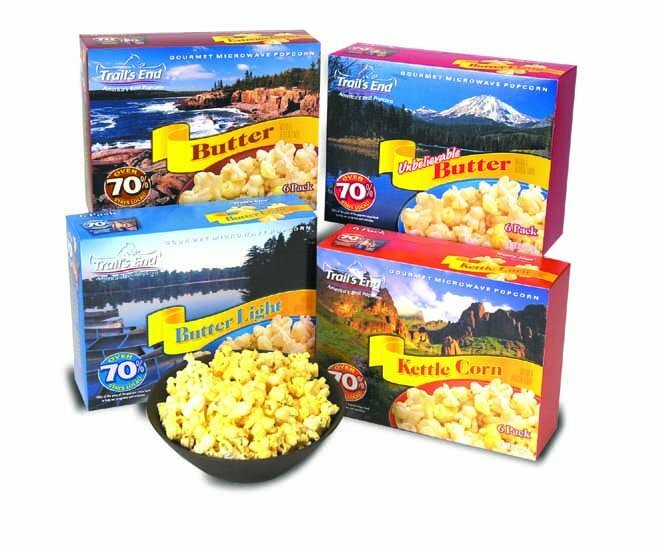 Kathleen wrote to tell me there is a story about Paul Bunyan and the Popcorn Blizzard that she was going to use with her Bears to wrap up the sale and work on “Tall Tales.” She found the story in her local library (free!). I found the story listed in several books on the web. And how about recognizing your Popcorn Kernel? Wendy made a Popcorn swagger stick for hers. She took a 3 inch Styrofoam ball and put it on a dowel, then hot glue gunned popcorn all over the ball and presented it to the Popcorn Kernel at a Pack Meeting with a big round of applause for volunteering.